We all want to reclaim a little bit of the 90s. The fun music like This Is How We Do It by Montell Jordan, Barbie Girl by Aqua, and MMMBob by Hanson….okay, maybe not that last one. But you get the idea. Music you could dance to like the Macarana by Los Del Rio, and Tootsee Roll by the 69 Boyz. And of course, Can’t Touch This by the iconic MC Hammer. Well, now you can claim a bit of the 90s. Yeah, you know you can’t touch this. 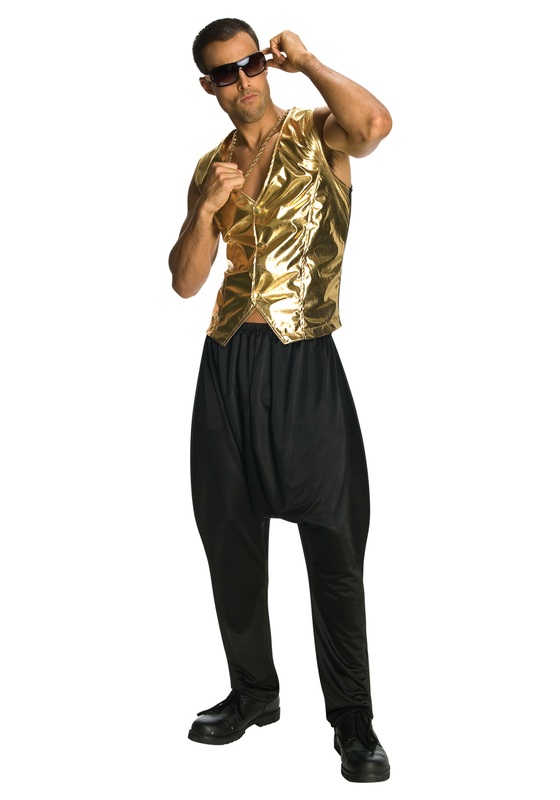 Well, you can touch this Gold MC Hammer Vest if you buy it. Turns out the 90s aren’t as hard to come by as you might have thought. Everyone still loves the music, and the styles are even coming back. Get this vest and be ready to live it up on the dance floor in this vest. Just don’t forget to grab a pair of parachute pants, who knows you might just be the one to bring that particular fashion back into style.